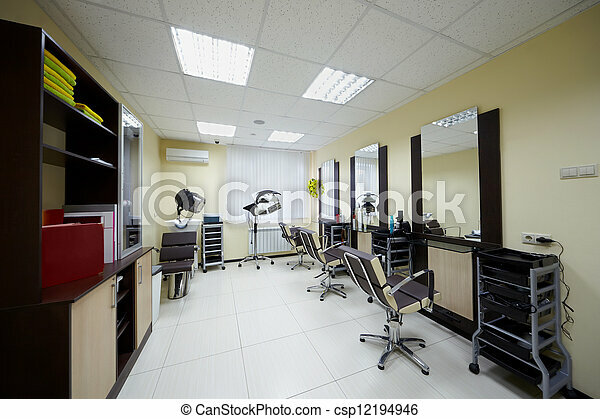 Barbershop cabinet with three working places in the beauty salon. 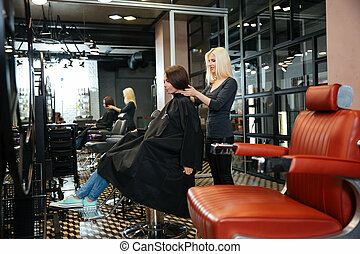 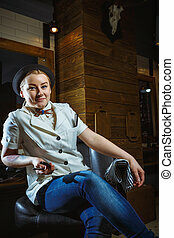 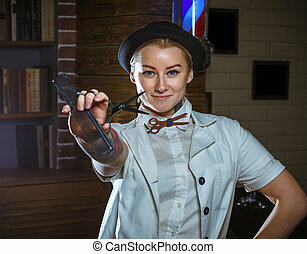 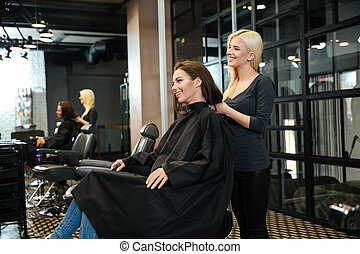 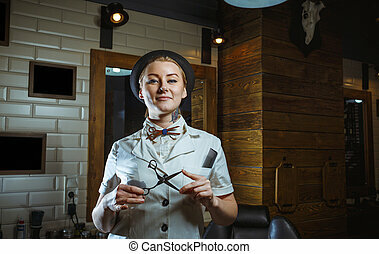 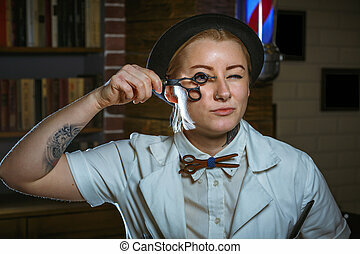 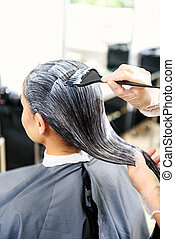 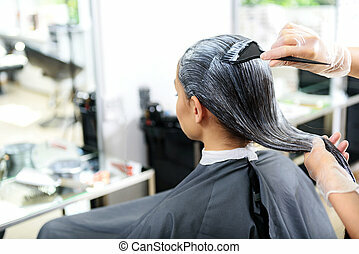 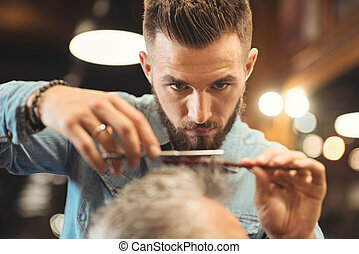 Professional hairdresser with beautiful woman in front of the mirror in hairdressing salon. 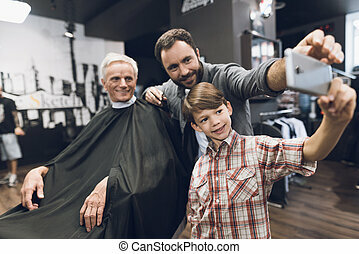 The boy makes selfie on a smartphone with two older men in barbershop, where they came to get a haircut. 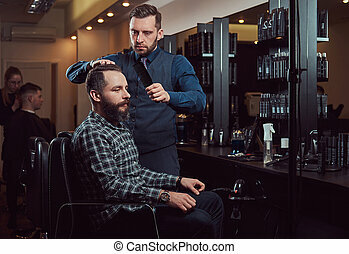 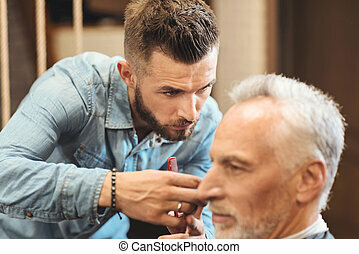 One of the men is sitting in a hairdresser's armchair. 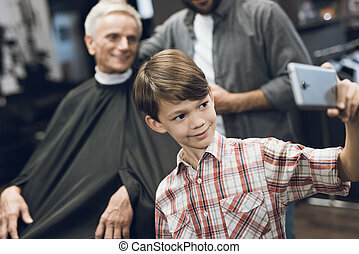 They smile and have a good mood.